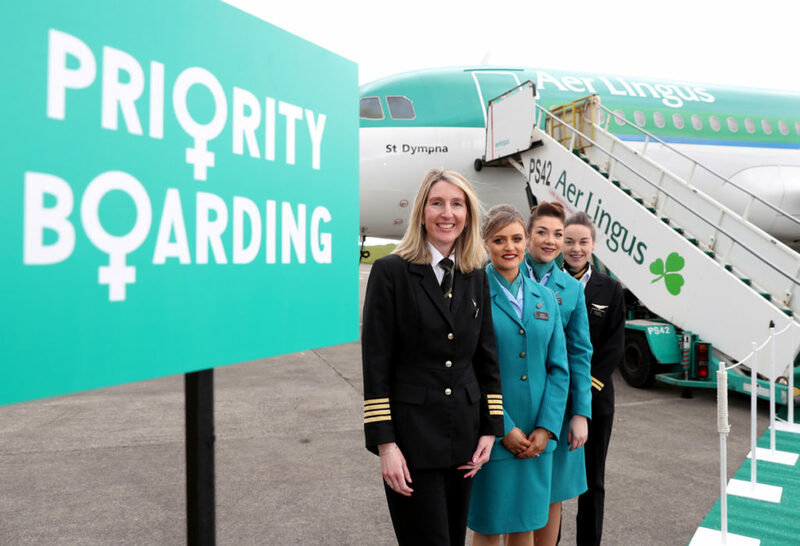 We’re celebrating International Women’s Day today by offering priority boarding to all women departing on short-haul flights from Dublin, Cork, Shannon, Knock and Belfast. 110 international flights on Thursday 8th March will see female travellers, along with any junior travel companions, board ahead of all other guests. It’s our way of joining a global celebration recognising the achievements of women and promoting greater gender equality. We’re also celebrating the women who are a driving force within our airline. More than 2,000 of our 4,200 employees are female, carrying out roles across all areas of the airline: pilots, cabin crew, engineers, flight dispatchers, check-in and boarding agents, planners, IT, marketing, communications, finance, and logistics specialists to name a few. We’re focused on supporting female talent across our airline. 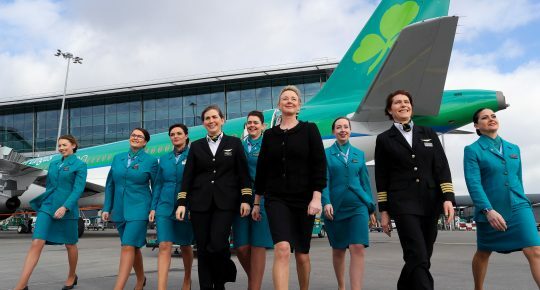 For this reason, we created LIFT (Let’s Inspire Female Talent), the Aer Lingus women’s network. LIFT’s purpose is to recognise, enable and support the career progression of women in Aer Lingus through ongoing workshops, panel discussions, networking and mentoring programmes. To highlight the important roles in our business filled by females, transatlantic flight EI105 from Dublin to New York was managed this week by an all-female crew. We employ many female cabin crew members and we have a proven track record of employing female pilots. We were the first airline in Europe to do so, when Grainne Cronin flew her first flight as a qualified Aer Lingus pilot in 1978. Today 10 percent of our pilots are female, which is more than twice the international airline industry average. While we are proud of this statistic, we continue to work hard to encourage more female applicants for our pilot vacancies.